Uma ferramenta de edição versátil para trabalhar com documentos PDF profissionalmente. AceThinker PDF Writer é uma ferramenta de edição versátil para os usuários trabalharem com seus documentos PDF profissionalmente. Ele permite que você edite conteúdo em termos de textos, imagens, links e mais. Você também pode reorganizar, combinar ou remover as páginas de vários arquivos PDF. E você pode personalizar arquivos PDF criando qualquer marca d'água, incluindo palavras e imagens, se necessário. Além disso, você tem opções para proteger seus arquivos com senha depois de republicá-los. Desfrute da experiência de modificar e criar PDF como nunca antes! É uma ferramenta de screencast profissional para você capturar qualquer coisa na tela e gravar as atividades em vídeos. Você pode gravar uma janela, uma região ou a tela cheia sem problemas, incluindo o cursor, som, webcam e narração em um screencast. E se preferir, você também pode fazer anotações na tela com textos, linhas, formas e muito mais em tempo real. Há também um modo automático para você agendar uma gravação de tela no futuro ou regularmente. A versão paralela do Mac concede aos usuários as mesmas funcionalidades de gravação de tela com facilidade. Ele também permite que você inclua o som, a voz do microfone, os efeitos do cursor e a webcam na gravação da tela. E se preferir, você também pode personalizar a qualidade de saída ajustando a taxa de quadros, resolução, etc. Além disso, esta ferramenta também envolve recursos adicionais do marcador de imagem. Este freeware lite e compacto atende suas necessidades essenciais em capturar a tela de três formas: instantâneo manual, instantâneo automático e gravador de tela. Você pode criar uma captura de tela/screencast em tela cheia, região personalizada ou na janela do aplicativo designado. Também não há limite na quantidade de capturas e na duração da gravação da tela. É também uma ferramenta fantástica para partilhar rapidamente com os outros as coisas que acontecem na sua tela. Thanks for your interest in AceThinker PDF Writer. On behalf of tech support team, we would like to express our sincere gratitude to you. In order to help you better utilize this tool, we just place this post here with useful guides and more. Also, if you have any suggestions or questions regarding this product, you could either send your feedback here or post in the support center as mentioned below. Note : Please follow the instructions of Giveaway of the Day to install PDF Writer on your computer. Once it's installed, you only need to enter in key code and activate the program within 24 hours. Please installed and run the software before registration. Copy and paste the registration code directly into the software to unlock it (Don’t paste it into Word or other documents). Should you have any problems or suggestions about our product, please feel free to send us your feedback via online form (http://acethinker.com/support/contact-us.html) or drop an email to support@acethinker.com. 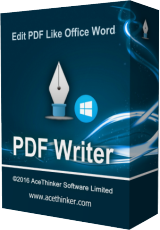 Hello Everyone, Thanks for your interest in AceThinker PDF Writer. On behalf of tech support team, we would like to express our sincere gratitude to you. In order to help you better utilize this tool, we just place this post here with useful guides and more. Also, if you have any suggestions or questions regarding this product, you could either send your feedback here or post in the support center as mentioned below. Note : Please follow the instructions of Giveaway of the Day to install PDF Writer on your computer. Once it's installed, you only need to enter in key code and activate the program within 24 hours. <strong>User Guide Registration Guide (Video): https://vimeo.com/176351855 Software User guide (Webpage): http://acethinker.com/pdf-writer/guide.html Software User Guide (Video): https://www.youtube.com/watch?v=cdbO8A6xh7k <strong>Important! Please installed and run the software before registration. Copy and paste the registration code directly into the software to unlock it (Don’t paste it into Word or other documents). <strong>Tech Support Should you have any problems or suggestions about our product, please feel free to send us your feedback via online form (http://acethinker.com/support/contact-us.html) or drop an email to support@acethinker.com. Download easy as is registration. Clean simple interface, no clutter. Posting user guides is an excellent idea and they are easy to understand. Interesting software, does some common things, BUT, it allows you to edit text and images in a pdf, this is usually seen only in costly programs, and often not even then. I would suggest that when text edits are done, the edited text should be seen in the edited doc. This program allows easy replacement of OCR'd misspellings. Program also allows insertion of images into a pdf, also very useful. All in all, a keeper in my pdf manipulation tool box. Download easy as is registration. Clean simple interface, no clutter. Posting user guides is an excellent idea and they are easy to understand. Interesting software, does some common things, BUT, it allows you to edit text and images in a pdf, this is usually seen only in costly programs, and often not even then. I would suggest that when text edits are done, the edited text should be seen in the edited doc. 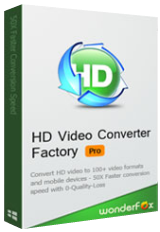 This program allows easy replacement of OCR'd misspellings. Program also allows insertion of images into a pdf, also very useful. All in all, a keeper in my pdf manipulation tool box. This program has a lot of comments, but I was wondering why there is no Undo command (and Redo as well). Ever think about adding those? Any editing operation needs an Undo. The only other recourse is to re-open the same file, but if several other operations were already completed and the user is happy with those modifications, the user doesn't want to lose their completed work. Starting from scratch again is a killer for me to use this program. Wow, a program you can use if you are hanging on to XP. To paste the code you got from their web site, click "Help" in the program menu, select "Install Key", paste the key code you copied from their web page (following their directions, of course), click "OK" and you are done. It installed fine for me, Win 10 etc, etc, etc. It's an easy install if you follow the directions they give, but as usual if you decide you don't need to follow no stinking directions, you will likely have problems, with subsequent whining and complaining. Wow, a program you can use if you are hanging on to XP. They left out one little step in the registration process, which should be obvious to most of you, but---: To paste the code you got from their web site, click "Help" in the program menu, select "Install Key", paste the key code you copied from their web page (following their directions, of course), click "OK" and you are done. It installed fine for me, Win 10 etc, etc, etc. It's an easy install if you follow the directions they give, but as usual if you decide you don't need to follow no stinking directions, you will likely have problems, with subsequent whining and complaining. Test with a pdf created with LibreOffice (LO). Very simple, with a few tables, no image. On one word, AbleWord (*) chocked and created an image of it; couldn't manage to do the correction. Funnily, this GOTD chocked on the very same word (and maybe more). FYI, LO has no problem editing the pdf (the contrary would be quite surprising). Anyway. Deleted the image, try to remove empty space... software crashes. Thanks. This can be repeated at will. I mean, after 2 crashes, I think it's not worth trying again. Test with a pdf created with LibreOffice (LO). Very simple, with a few tables, no image. On one word, AbleWord (*) chocked and created an image of it; couldn't manage to do the correction. Funnily, this GOTD chocked on the very same word (and maybe more). FYI, LO has no problem editing the pdf (the contrary would be quite surprising). Tried to edit the word. A window pops up saying: "The text is rotated, please use Tochup to edit it". No, the text isn't rotated. What is this "Tochup", and where is it located? No clue. (And yes, I read the documentation, which, as it's become a bad habit, is available only on the Internet ---a shame for a $40 software.) Anyway. Deleted the image, try to remove empty space... software crashes. Thanks. This can be repeated at will. I mean, after 2 crashes, I think it's not worth trying again.